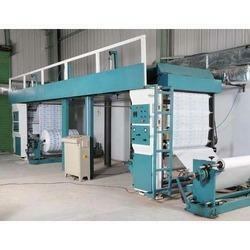 Customers can purchase the provided extent of Dry Bond Lamination Machine from us. This product is manufactured with the mixture of best quality element and modern innovation. 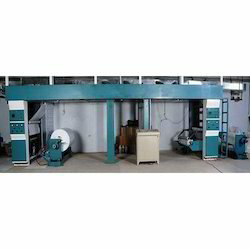 Customers can avail these machines from us in varied specification options as per their requirements. Keeping in mind the end goal to ensure quality, the offered product is strictly examined on different set quality parameters in order to offer best product range to our regarded customers. With the assistance of a pool of talented experts, we offer a broad range of High Speed Laminating Machine.This product is manufactured under the positive environment by utilizing an unrivaled quality material in tune with the universal principles. Keeping track of the end goal to approved quality, these products are stringently inspected on diverse quality parameters and we make sure our customers to convey faultless delivery for this offered item. These products find application to medium to large volume packaging and commercial printers. Centre winding or surface winding. Auto chaser assembly for aligning coated web with coming from secondary unwind, 3 drive electronic synchronisation with master control, pneumatic hood lifting.